Artisans Effort was founded in Kolkata, West Bengal, India in October, 2003. The founding members were a group of artisans, all specialists in their own fields, for example embroidery, leather, jewellery and paper products etc. The artisans came together as they had heard about Fair Trade and how you are treated with respect, that a fair price is paid and that a good relationship is built between the producer and the seller. All these artisans had been previously treated badly. They had problems being paid, there was irregularity of work and above all, they were rudely treated. 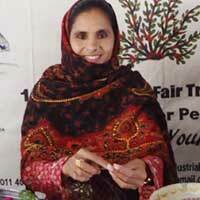 Slowly, this group started to know more about Fair Trade procedures and attended the Fair Trade Forum in India. ,Today there are more than 150 families involved with Artisans Effort. 60% are women and 40% are men. Since Artisans Effort is an artisans based organization, the artisans’ needs and difficulties are very closely understood. At present, Artisans Effort takes responsibility for the education of several poor and needy children from Asansol (West Bengal ) Their books, uniforms and school fees are paid for. In January, 2014, their dream Montessori school is opening at Asansol, west of Kolkata. The name of the school is Fair Point. It will be for needy children (the costs will be covered by Artisans Effort ) and also children who will be paying school fees. With the school fees paid by the paying students, teachers receive a salary and the running costs of the school will be maintained. 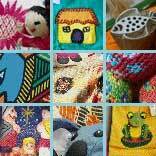 Artisans Effort has a range of products on offer including embroidered and leather items, jewellery and paper products. Artisans Effort is changing the lives of communities by providing training and ongoing support to the most impoverished families. A major focus is on education. A dream project of Artisans Effort is the School project. Once complete, the school will have the capacity for at least 300 students. In the beginning it will provide free education to 5% of its most needy students. They will employ a Principal, teachers and other staff to run the school and provide long term employment in a country where many people who are educated do not have a job. Tara (Trade Alternative Reform Action ) projects serves economically disadvantaged artisans and craftsmen in Delhi, Northern India. This organization has constantly remained an active catalyst in the fight against exploitation, poverty and illiteracy. When artisans are poor, they lack rights and are subject to social injustices created by unfair trade and middlemen practices. ” Make Trade Fair ” has always been the principal goal for ushering in social and economic transformation at Tara Projects. There are 10 organized groups of craftspeople. Each group specializes in different crafts. There are ladies groups who specialize in hand embroideries and hand beading . They make the most exquisite Christmas decorations, jewellery and fashion accessories. The lac work is the special craft for another group. Their intricately decorated mirrors and containers are very popular. There are three groups of male artisans who specialize in stonework assisting 250 families. They intricately hand carve a variety of stones including sandstone, marble, palewa, gorara and granite. The finished products, some with mother of pearl inlay, are breathtaking. Tara Projects have built a room with dust sucking ventilation for the protection of the stone artisans. Download a copy of the Tara leaflet in pdf format with information relating to the organization and its Mission Statement at the link below. Tara Projects is funding and maintaining a number of non-formal schools, vocational training centres and several adult literacy centres. They also organize many campaigns promoting and end to the injustices of child and bonded labor. Tara Projects has been a leading advocate for the elimination of child labor in India and an end to illiteracy, unfair trade practices and environmental issues.